Snapshot. 40 Passenger Ship (Airplane). 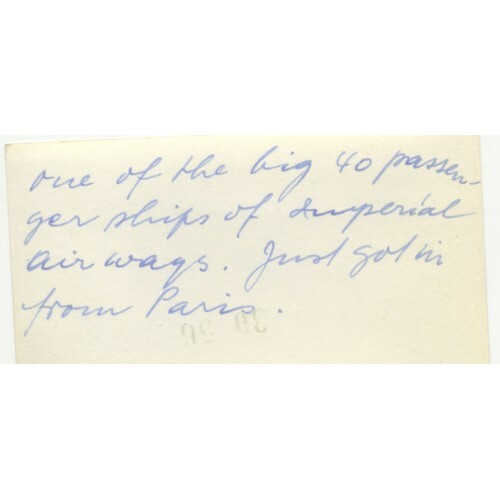 Written on the verso: "One of the big 40 passenger ships of Imperial Airways. Just got in from Paris."